Ethical brands have risen to prominence in recent years as a market solution to a diverse range of political, social and, in this case most interestingly, ethical problems. By signifying the ethical beliefs of the firm behind them, ethical brands offer an apparently simple solution to ethical consumers: buy into the brands that represent the value systems that they believe in and avoid buying into those with value-systems that they do not believe in. However, as is the case with ethics itself, a term which is difficult to pin down in one single definition the notion of ethical brands seems to be rife with paradoxes and dilemmas. An overriding tension in debates about ethical brands is that of the incompatibility of ethics and capitalist modes of production and consumption. This special issue is an attempt to address, discuss and reflect upon this. 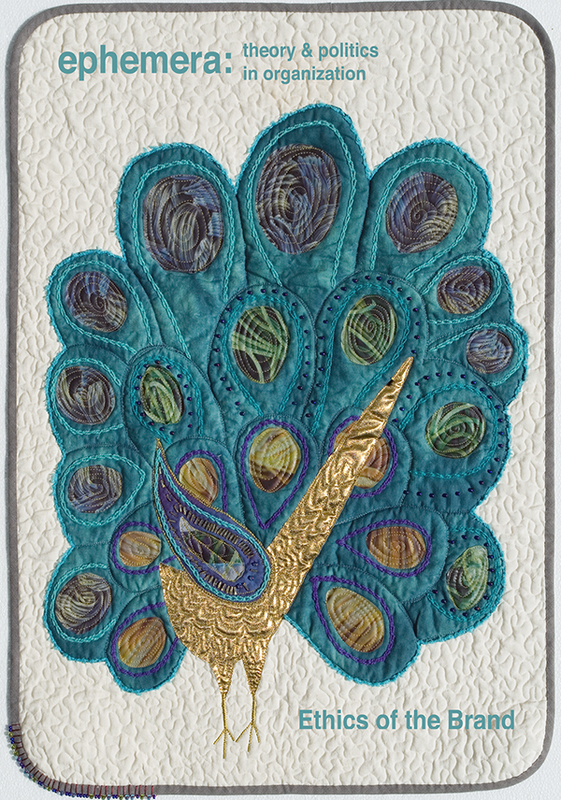 The paradoxical nature of the ethics of the brand can already be seen on the front page of this issue, which is an image of an academic quilt called ‘Nike Goddess Quilt’ by Dr. Ann Rippin. For more of Ann’s fantastic work, please go here. Brands beyond good and evil? Just what is it that makes today’s employee branding so different, so appealing?